The demand for qualified financial planners is high, so if you’re interested in investments and working with people, this diploma program can help you move into a successful, rewarding career. 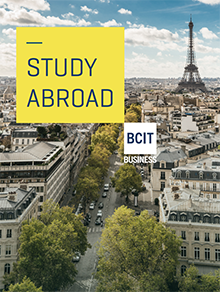 By focusing your training at BCIT in this two-year diploma program, you’ll be 100% prepared to start work in investment and financial planning upon graduation. And with our strong mentorships, networking opportunities, and focus on practical, useable skills, many students have job offers even before graduation. Find more details of how you’ll be prepared for success upon graduation in the Program Details. Who should apply for the Financial Planning Diploma? If any of these sound like you, visit the Program Entry page today to apply. Do you already have work experience or coursework from another school? If so, you might qualify for course credits to help accelerate your training. Check to see whether your experience qualifies you for advanced placement. In this program, you’ll focus on the practical, usable skills you’ll need for a successful career in investments and financial planning. As part of your training, you’ll also have exposure to industry leaders through mentorship and with your own financial plan presentation. Upon graduation, you’ll be 100% ready to begin working in the industry and be well on your way to receiving your Certified Financial Planner designation. You’ll also have the option to continue your education with BCIT’s Bachelor of Business Administration degree. Working towards the Chartered Financial Analyst designation is also possible. Learn more about the variety of opportunities at the Graduating and Jobs page. Students should be aware that course exemptions can be claimed for a maximum of two courses per level. Introduces students to the fundamental principles important to the discipline of personal Financial Planning. Students will acquire an understanding of the concepts and applications associated with financial planning, and the analysis of various financial situations. This course covers the basic issues to be considered in building a sound program to achieve long term financial goals. Topics include cash and debt management, insurance, investments and portfolio management, wills, estates, and tax planning. Prerequisite: FMGT 2105 or equivalent. FMGT 2105 (65%) or FMGT 2100 (70%). This is the concluding course in the Diploma program in personal Financial Planning. It is designed to provide students with an applied understanding of the principles and applications related to financial planning. It draws on subjects learned in the prerequisite courses and covers advanced topics and case studies designed to equip the student with the knowledge and skills necessary to advise individuals. The primary topics include: taxation, insurance and risk management, retirement planning, investments, ethics and estate planning. This program is designed by working professionals to prepare you for a career in financial and investment planning. By focusing your training on the necessary, applicable skills you’ll need daily in the finance industry, you’ll graduate with the knowledge and confidence to secure and excel at a job in financial planning. As part of the program, you’ll study in-class as well as with hands-on practice by working with successful mentors and developing your own financial plan to present to industry leaders. You’ll also graduate having written and passed Canadian Securities Institute exam to prepare you and your resume for success. Students who choose the Financial Planning program will write the Canadian Securities Course (CSC) examinations while they are students at BCIT. Successful completion is a mandatory step for anyone considering a career in the field of financial planning, or indeed in any aspect of the investment world. In addition, it is a prerequisite course for all other courses and programs offered by the Canadian Securities Institute (CSI). As well, the Personal Financial Planning Course (PFPC) offered by the CSI is included in this program. Many of the individual courses in this program are eligible for transfer/credit to the professional accounting bodies. The Financial Planning option is accredited by the Financial Planning Standards Council of Canada; it meets the academic prerequisites necessary to be permitted to write the Certified Financial Planners (CFP) national examinations. Your training at BCIT includes mentorships with industry leaders and a portfolio of your own complete financial plan that you’ll present. This exposure to potential employers and mentors gives our students a unique opportunity to improve their skills and also secure jobs to begin upon graduation. You’ll also be able to start work as a financial planner and pursue your CFP immediately, or continue on to complete your bachelor’s degree, and from there, continue on to do a CFP and a CFA. This diploma program recognized at many universities for block credit transfers. Do you have a degree, diploma, or completed a substantial amount of post-secondary courses? You may qualify for advanced placement into the Financial Planning program. Students that qualify for advanced placement can enter the program in the middle of first year depending on the number of transfer credits received. For more information about eligibility requirements and the application process, please download the Financial Planning Advanced Placement Guide [PDF]. The learning environment is excellent and my instructor was an experienced professional with lots of real world advice to share. He knew all of the students personally and was able to give personalized feedback throughout the term. Class sizes were ideal for easy Q&A and group discussions. Several employers came into class seeking out candidates and my instructor personally put me in touch with a prospective employer. I couldn’t be happier with my experience at BCIT.